Governor Charlie Baker warned Tuesday that the GOP plan to repeal the federal health care law could put a half-million Massachusetts residents at risk of losing coverage, blow a $2 billion hole in the state budget, and threaten the state’s first-in-the-nation commitment to universal health care coverage. In a letter from Baker and in subsequent testimony from his health chief, the Republican administration stepped further into the caustic national debate over President Trump’s effort to repeal his predecessor’s health care law. Baker, a Republican, has previously expressed concerns about the GOP plan, the American Health Care Act, but Tuesday’s letter and testimony marked his most detailed accounting yet of the human impact to the state’s 6.8 million residents. 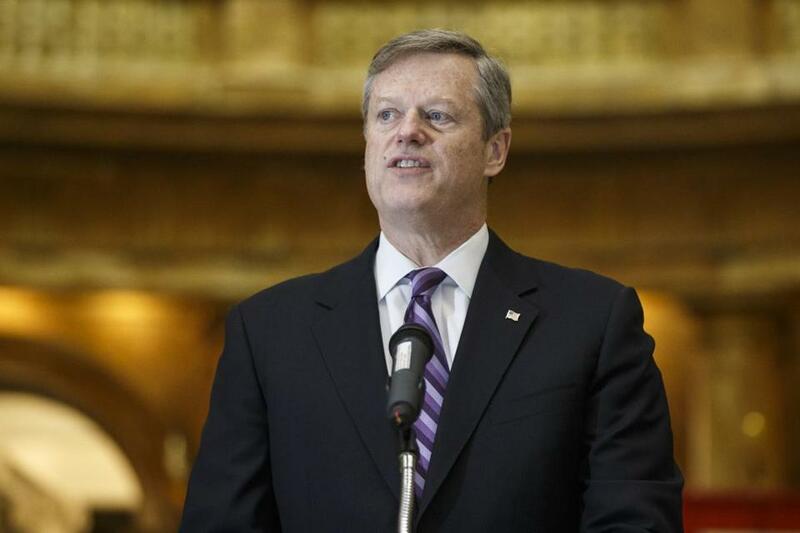 Even in his typically dry, bureaucratic language, Baker warned that the federal legislation could unravel the more-than-decade-long, bipartisan effort to make sure every Massachusetts resident has health insurance. Governor Charlie Baker says the GOP health care plan could cost Mass. $1 billion. Health and Human Services Secretary Marylou Sudders was more succinct. “The bill, as currently presented, is not good for us,” she said after testifying to the Legislature’s budget-writing committee. The Baker administration said it has not had a chance to fully analyze the latest amendments to the legislation unveiled Monday night in Washington, but the projected fiscal impact for Massachusetts “does not appear to be helped” by the changes, Sudders said. Baker is sounding the alarm as the House is poised to vote Thursday on the legislation. No Democrats — including members of the Massachusetts congressional delegation — are expected to vote for it. But the fate of the bill is uncertain because of objections from conservatives who believe it does not go far enough to undo President Barack Obama’s law, the Affordable Care Act. If it passes the GOP-controlled House, there’s no guarantee it will pass the Senate, where Republicans have a slimmer majority. But simply the possibility that Trump’s “repeal and replace” health plan might pass prompted health care advocates to amplify Baker’s warning Tuesday. In her testimony, Sudders outlined some specific impacts the state could expect with the Trump bill. In a few years, Massachusetts could lose between $1.1 billion and $1.9 billion per year of federal revenue for Medicaid, the joint federal-state health care program for the poor and disabled, she warned. That program is known as MassHealth. Sudders said 300,000 people who are on MassHealth currently could be at risk of losing coverage, and 195,000 people who get insurance through the Massachusetts Health Connector might lose subsidies that help them pay for insurance, meaning they might lose their insurance all together. And those numbers don’t include the untold number of Massachusetts residents who get insurance through their employers, but might lose it if the GOP bill passes, she said. ■ It’s “quite possible” the state could lose up to $475 million a year in payments to hospitals that serve a large number of Medicaid patients, she said. Those payments are important for facilities that see some of the state’s poorest and sickest people. ■ The technical language would force Massachusetts to lower the asset test it uses to see if a resident is eligible for Medicaid for a nursing home or the like. Currently the person has to meet certain income requirements and have an equity interest in their home under $840,000. But the law would force the state to lower it to $560,000. Sudders said she does not know how many people that might impact. ■ The legislation gets rid of $19 million in grants to the Department of Public Health, which address issues ranging from family planning to sexual assault prevention. Already Massachusetts has struggled to constrain health care costs. In recent years, Medicaid has eaten up a larger and larger chunk of state spending, meaning there is less money to spend on other areas, such as education and transportation. Currently, it represents about 40 percent of the state’s nearly $40 billion budget. Spending on MassHealth, the state’s Medicaid program, has doubled since 2007. 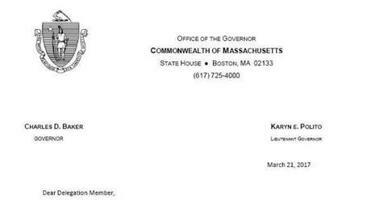 Massachusetts has long been a leader in health care reform. Its sweeping 2006 law — signed by then-Governor Mitt Romney, a Republican — created near-universal coverage for the state’s residents. Among its key components: a mandate that every resident get health insurance. Major aspects of the federal health care law the GOP is working to repeal were based on the Romney-backed law.